In 2020, only techies will care about the technology in their laptops. Most users will never even think about it, because laptops will have so much processing power and the Internet cloud will offer so much storage. What will matter is style. Here's the vision of Lenovo's Howard Locker, Master Inventor and Chief of Strategic Technology. Bendable, thin slate folds up to slip into pocket. 6G, always-on, wireless connectivity reaches 550 Mbps. Thin, light battery lasts 5 to 7 days. 256-core processor is essentially a data center cluster on your lap. 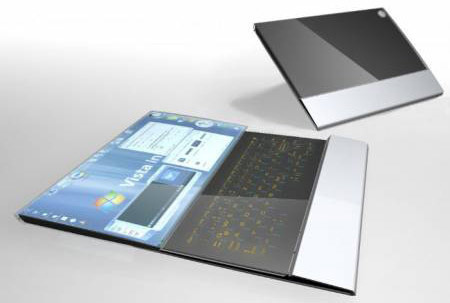 Touch screen and voice recognition; virtual keyboard with tactile feedback for serious content creation. 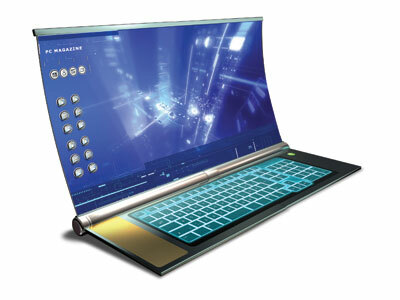 Thin, light, 300-pixel-per-inch OLED screen rolls out to any size you want. Very light, strong material, even better than titanium. Entire system weighs half a pound.